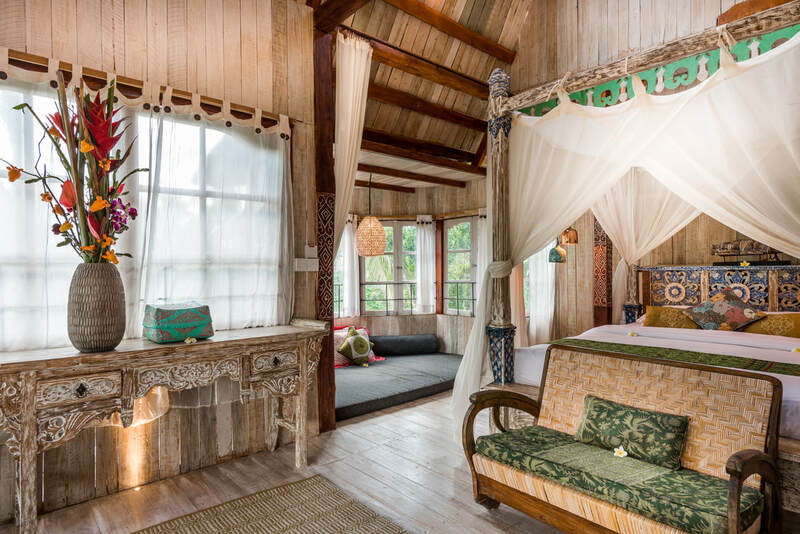 The Rice Joglo offers an authentic, eco friendly immersion in nature, surrounded by the charm of centuries-old Balinese farming and ceremonial traditions. 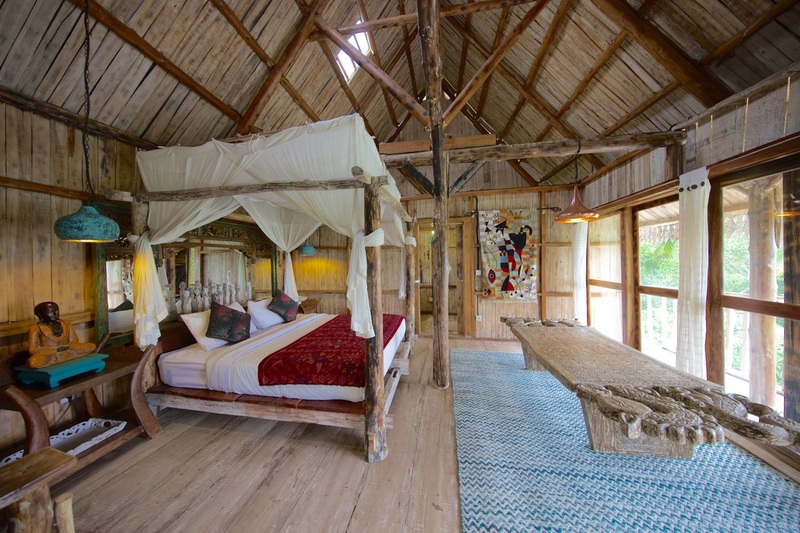 The Suites range from the Couple Suites to the three bedroom Treehouse, each Suite offering its own privacy, and expansive views from every room. On all sides you will see the rice fields, to the north the sacred Mount Agung volcano, and to the south look over a ravine. .
Take your breakfast, served by our breakfast chef each morning, in the open air kitchen pavilion overlooking the rice fields. Your breakfast is partially supplied by our organic gardens, and eggs laid by the ducks. 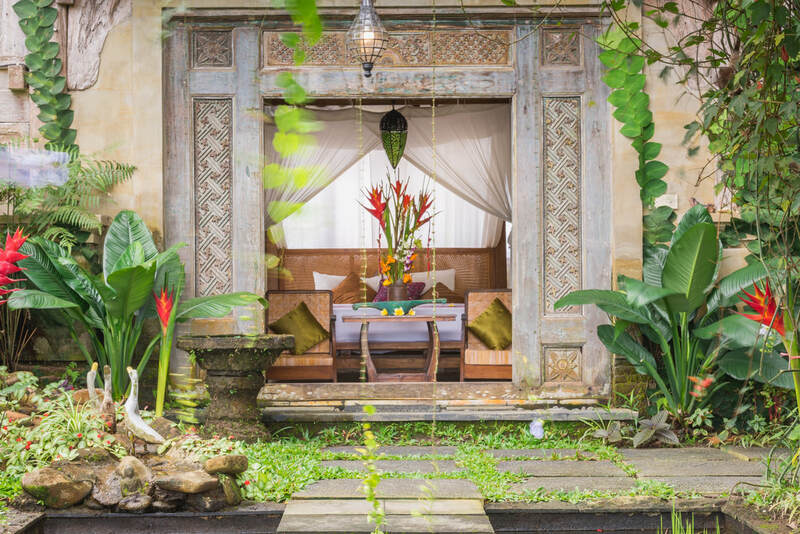 Immerse yourself in the pool overlooking the rice fields, lounge under a traditional bale, stroll the manicured gardens and enjoy a sunset drink from the rooftop. You will marvel at how the smallest everyday events are transformed by the simplicity, beauty and magic of the rice fields. 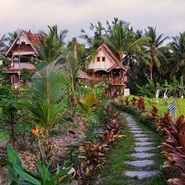 The Original Dutch Rice Joglo was build last century in the Dutch colonial style. Javanese craftsmen followed a European design influence, using aged teak dating up to 150 years old. 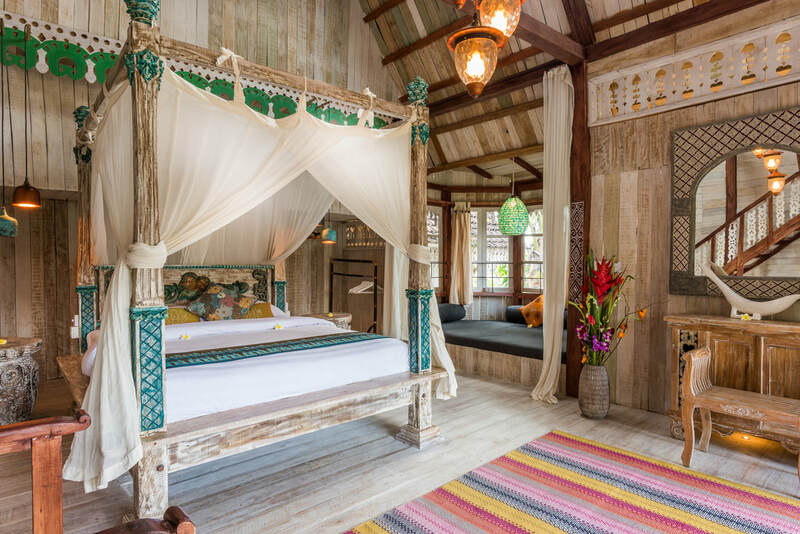 The design itself is one of a kind – there's not another like it in the whole of Bali or Java. 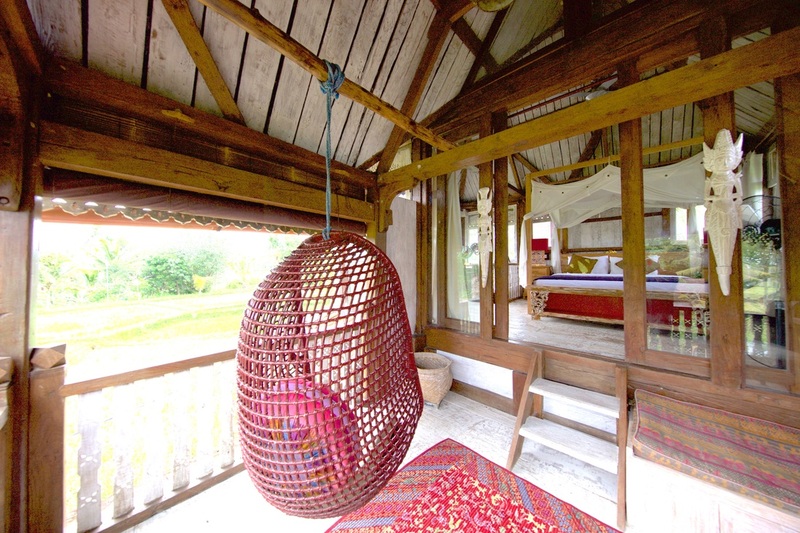 The Joglo was dismantled and transported from Java into the Sok Wayah rice field, where it was meticulously re-built and authentically restored to merge with the serene beauty of the rice fields, commanding panoramic views of the lush fields and mountains, yet also becoming entirely at one with it. Would you like to ask about dates, or other details? We'd love to hear from you..